It’s Hangover Thursday, how’s your head? The temperature is dropping in Orlando, making it the perfect time to start looking at Imperial Stouts. Of course I’m usually ready for a good stout any time of the year, but they become more readily available during the winter. For those of us who aren’t covered in snow, the cooler temperature also makes it the perfect time get around to some of that work outside we put off in the summer. That’s why we’re talking about Beer Hammer. Normally when I hear Beer Hammer I think about playing Warhammer and drinking beer. 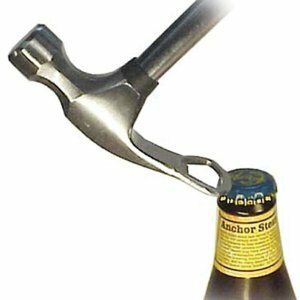 That isn’t the case today though, we’re talking about a hammer with a built in bottle opener. It’s an easy scenario to imagine. You’re outside or in the garage hard at work, maybe you have a cooler nearby. It might not be hot outside, but you are working so you’ve gotten yourself a little parched. You pop open the cooler and realize the beer you bought needs an opener. 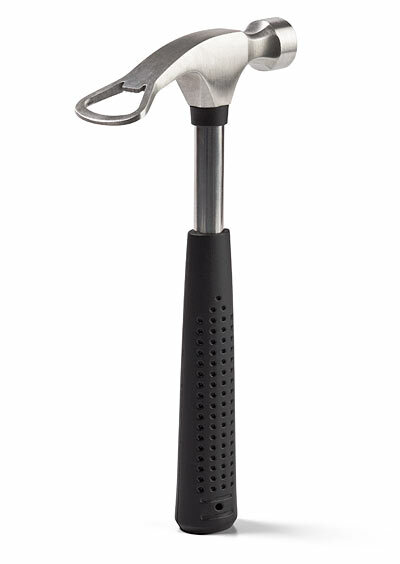 With this hammer, you’re never without a bottle opener. Okay, in all seriousness there isn’t much to say about a hammer that has a built in bottle opener. Leave it in your tool box and you’ll always have easy access to your favorite beer when in the garage or working in the yard. If you’re interested in owning one, I first found the hammer at Think Geek, but some Google-Fu will take you to some stores that have it even cheaper.